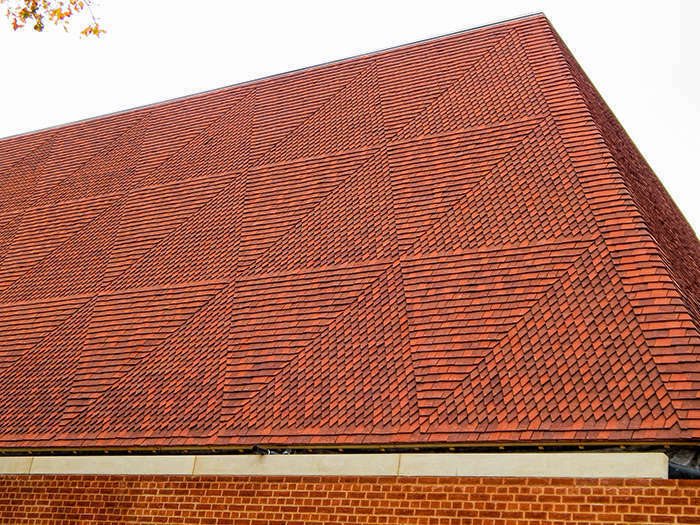 After 2 years of design and planning, Tudor Roof Tiles supplied bespoke sized tiles (400mm long x 100mm wide) to King’s College School Wimbledon for their new music school and concert hall. 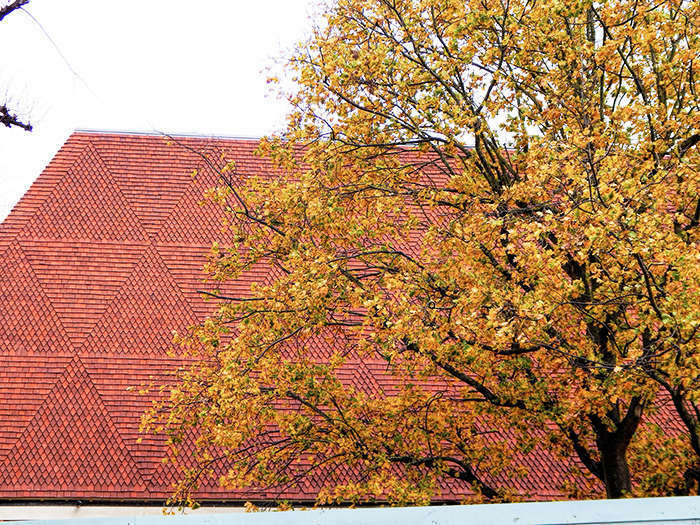 The tiles were used to form a visually stunning ‘patterned’ roof which must surely go forward to win many architectural awards. Tudor hope to publish a more in depth look at this project over the coming weeks.